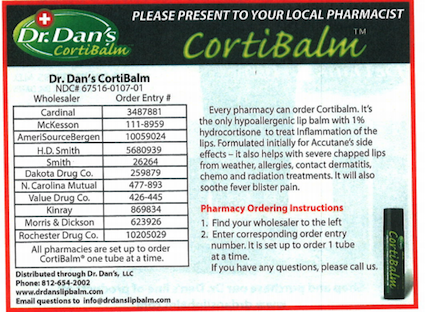 Any pharmacy can order Dr. Dan’s CortiBalm! Take a picture or print out the voucher below, and take it to your local pharmacist’s counter. You can also order Dr. Dan’s products on Amazon 24 hours a day.